A Swearingen SA226-TC Metro II cargo plane, operated by Carson Air, crashed in the North Shore Mountains near Vancouver, Canada killing both crew members. The airplane departed Vancouver International Airport, BC (YVR) at 07:02 hours local time on a cargo flight to Prince George Airport, BC (YXS). Radar contact was lost at 07:08 hours. A search party found the wreckage the next day on a snowy wooded hillside, southeast of Crown Mountain. The TSB reported that "the radar track showed a very steep descent," with the aircraft descending from about 7900 feet to about 3000 feet in less than one minute. The TSB said that the was "consistent with uncontrolled flight." A federal air marshal left his loaded gun in a bathroom stall, sources said. NEWARK -- A federal air marshal left his loaded gun in a bathroom stall at Newark Liberty International Airport, then boarded a flight he was assigned to protect without it, NJ Advance Media has learned. The incident occurred late last month, when the marshal left the handgun on top of a toilet paper dispenser in the public men's room near Checkpoint 2 in Terminal C, according to a Transportation Security Administration supervisor and a law enforcement source, who asked their names not be used because they were not authorized to discuss the incident. The gun was discovered by a airport janitor, who alerted a TSA supervisor, the sources said. The janitor and supervisor sealed off the stall and called Port Authority Police. Officers took possession of the weapon, which upon inspection was found to be loaded, and then traced its serial number to the marshal, the sources said. The sources did not know the precise date of the incident, which they said occurred in the last afternoon or early evening. A TSA spokesman for the marshal service, Michael D. Pascarella, declined to comment. "TSA will not discuss the mission activities of Federal Air Marshals," Pascarella said in an email. A Port Authority Police spokesman, Joe Pentangelo, also declined to comment. Federal air marshals are law enforcement officers within the TSA, who pose as airline passengers with a mission, "to detect, deter, and defeat hostile acts targeting U.S. air carriers, airports, passengers, and crews," according to the TSA, a branch of the Department of Homeland Security. Unlike the unarmed TSA screening officers recognizable to fliers at security checkpoints, marshals carry guns and dress in plain clothes. "Federal Air Marshals must operate independently without backup, and rank among those Federal law enforcement officers that hold the highest standard for handgun accuracy," the TSA states, referring to the importance of not shooting holes in a pressurized aircraft cabin. "They blend in with passengers and rely on their training, including investigative techniques, criminal terrorist behavior recognition, firearms proficiency, aircraft specific tactics, and close quarters self-defense measures to protect the flying public." By its stealthy nature, the Air Marshal Service does not attract much attention to itself or its undercover operatives. However, eight New York-based marshals made headlines in 2012 when they were fired for drinking at a restaurant while on duty, six others were suspended for failing to report them. 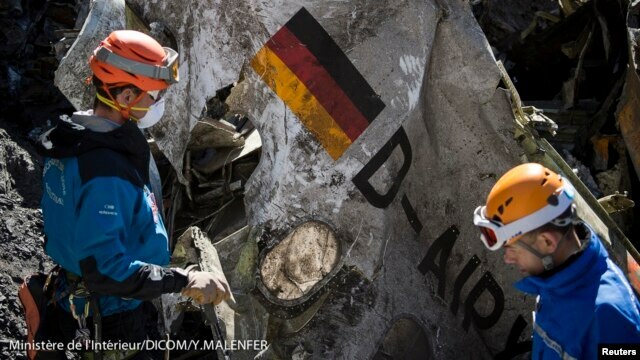 Since it was revealed that Andreas Lubitz - the co-pilot who purposefully crashed Germanwings Flight 9525, killing 150 people - had been treated for psychiatric illness, a debate has ensued over whether privacy laws regarding medical records should be less strict when it comes to professions that carry special responsibilities. It has been widely argued that Germany's privacy laws were to blame for the tragedy. The Times, for example, headlined an article: "German obsession with privacy let killer pilot fly." Similarly, another article published in TIME said "German privacy laws let pilot 'hide' his illness from employers." While Dirk Fischer, German lawmaker and the transport spokesman for the Christian Democratic Union (CDU), called for airlines to have mandatory access to pilots' medical records, Frank Ulrich Montgomery, president of the German Medical Association (B�K), disagreed. Montgomery believes that current laws are appropriate, since aviation doctors are already relieved of their duties of confidentiality if they think a pilot could put other people's lives at risk. If Lubitz's doctor did not alert Germanwings, it must have been because Lubitz did not seem like a threat. There are two arguments for why Lubitz's doctor did the right thing by not disclosing Lubitz's depression to his employer. First, functional doctor-patient relationships depend on trust. If confidentiality between patients and doctors is breached, patients will no longer trust their doctors. And a lack of trust will lead (at least some) patients to hide some of their symptoms or refrain from seeking medical attention altogether for fear of bad consequences, such as stigmatisation and work-related penalties. More dangerous than a pilot with a mental illness - or any number of other professions that carry the responsibility of a great many lives - is that one with a mental illness who will not seek treatment because he does not trust his doctor. For these reasons, philosopher Kenneth Kipnis goes even further. He argues that confidentiality should be "far closer to an absolute obligation that it has generally taken to be" and that doctors should honour confidentiality even in cases where the patient might harm a third party. If patients come to doctors for help, doctors have a chance at avoiding a possible catastrophe. If patients lose trust on doctors and do not ask for help, nothing will be gained - patients will remain afflicted by their illnesses and people who might be put at risk by patients will remain at risk. In the days before the crash, Lubitz searched online both for medical treatments and for ways to commit suicide, which suggests he was undecided as to what to do. So another way of thinking about his scenario is that perhaps if he had trusted his doctor even more - and shared with him or her the way in which he was thinking of committing suicide - his doctor could have done more to help him and to protect the passengers of the aircraft he piloted. Lubitz's doctor also did the right thing by not revealing his depression to Germanwings because his depression was far from obviously related to his crime. Simon Wessely, the president of the Royal College of Psychiatrists and an adviser to the British army, said that "there isn't a link between depression and aggressive suicide". J�rgen Margraf, psychologist and professor at Bochum University, likewise told NBC News that, given the sheer weight of numbers involved, you are far less likely to be harmed by a person with depression than by a person without depression: "The chances of killing others are higher for non-depressed than for depressed people," he said. Furthermore, given the lack of relationship between depression and the pilot's crime, it was not obviously in the public's interest to know about Lubitz's depression and morally questionable that his medical history of depression has been exposed so freely. In Germany, medical confidentiality is supposed to be valid after death. Publicly disclosing Lubitz's ailment harms the public trust in doctor-patient confidentiality after death - and it may stigmatise people who are suffering from depression but who would never hurt anyone (but themselves). Along with the crucially important rule of having two people in the cockpit at all times (which violates nobody's privacy), one medical measure to avoid future catastrophes is to notify employers of stay-home orders from doctors for employees who have high-responsibility jobs without mentioning the cause of the incapacitation. Lubitz reportedly had a sick note for the day he flew but never told the airline. If they had been aware of the sick note things might have been different. The head of Germany's air traffic control agency on Wednesday became the latest to raise such a prospect. Such moves might seem logical in the aftermath of this crash, but industry experts warn that the technology is fraught with problems. Besides, no matter how tragic the deaths of the 149 other passengers and crew were, it was an anomaly. Each year, more than three billion people around the globe step aboard some 34 million flights. The number of crashes purposely caused by commercial pilots in the last three decades: fewer than 10. Despite those major technical - and psychological - hurdles, the concept isn't so farfetched. There was a time when riding an elevator without an operator seemed unimaginable. Today, we don't think twice about stepping into an empty elevator. Airports around the world have trams without drivers, as do some subways systems. Even cars are starting to take some of that control away from us: the latest models will automatically brake if there is a sudden hazard. "The real reason a person wants another human in the cockpit is because they want to believe there's somebody in the front who shares their own fate and thus if anything goes wrong, they will do everything they can to save their own lives,'' says Mary Cummings, a former U.S. Navy fighter pilot who is now a Duke University professor studying autonomous flight. That's why Cummings and other aviation experts see cargo planes being the first aircraft to fly over the U.S. without pilots. First, the big cargo companies would go from two pilots to one with a team of pilots remotely assisting from the ground. Then all operations would shift to the ground. If that weren't removed enough, Airbus is exploring a windowless cockpit. The aircraft manufacturer is experimenting with a system of cameras and screens that would give pilots a wider, more-detailed view, although one step removed from reality. Todd Humphreys, a University of Texas professor of aerospace engineering, says it isn't hard to go one step further and have the pilots watching those same screens from a room on the ground. "Anything you can control with knobs or buttons, without getting out of your seat, can be done equally well - or even better - on the ground,'' Humphreys says. Humphreys argues that ground-based pilots wouldn't have to deal with time zone changes and jetlag, uncomfortable airport hotels or even the dehydration that comes after long flights. Since most flights don't have a problem, "pilots only face extreme challenges once in a blue moon,'' Humphreys says, and might not be most apt to handle an emergency. Instead, he says you could have a team of specialized experts in the room with all the remote pilots who could jump in and assist with any emergency, actually reducing the amount of pilot error. Pilots mostly disagree with that, saying they need to make split-second decisions. Take US Airways Flight 1549 which famously landed on the Hudson River. Capt. Chesley "Sully'' Sullenberger had seconds to decide what to after both engines were disabled by a bird strike. And how would pilot thousands of miles away handle a fire in the cockpit? A passenger was removed Thursday from a Southwest Airlines jet after she repeatedly jabbed the man next to her to stop him from snoring. The incident occurred while the jet near the gate at Midway International Airport in Chicago, preparing to leave for Manchester-Boston Regional Airport in New Hampshire, WMAQ-TV in Chicago reported. After the woman poked her seatmate with the pen and he began screaming, the jet returned to the terminal and she was removed for "causing a disturbance," a Southwest spokesperson said. The woman, who was not arrested after the man declined to press charges, was booked on a later flight. Airline officials and police who investigated did not disclose her name. The passenger, Lenny Mordarski, was not seriously injured in the incident, which caused the 1:15 p.m. flight to be delayed until 3:04 p.m. He told WLS-TV in Chicago that the pen left ink marks on his shirt, while the poking was a rude awakening. "Imagine being asleep and then being stung by bees, and then waking up and going 'owww,'" Mordarski said.